Today I had to put on long sleeves and jeans. The weather is turning chilly. There are talks of pumpkin spice lattes and whispers of Halloween are in the air. 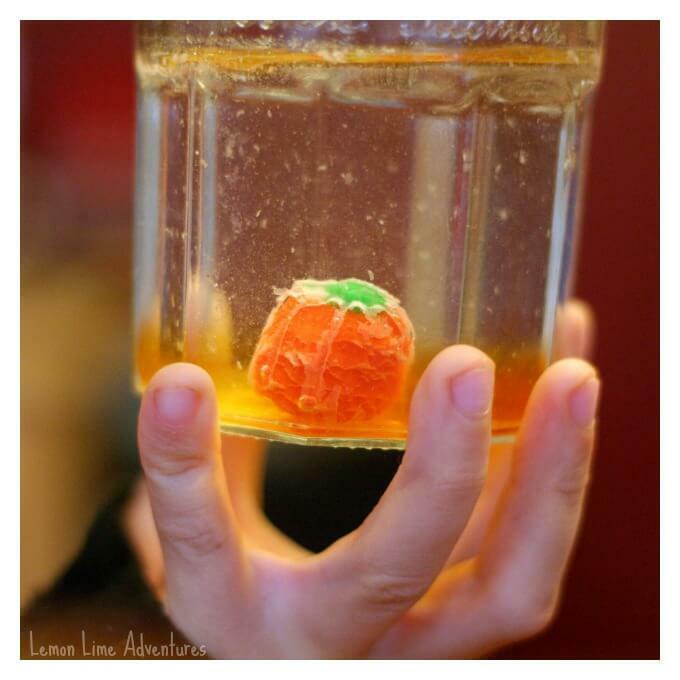 Knowing how much my kids love this time of year, I decided it was time to pull out the Halloween science experiments. 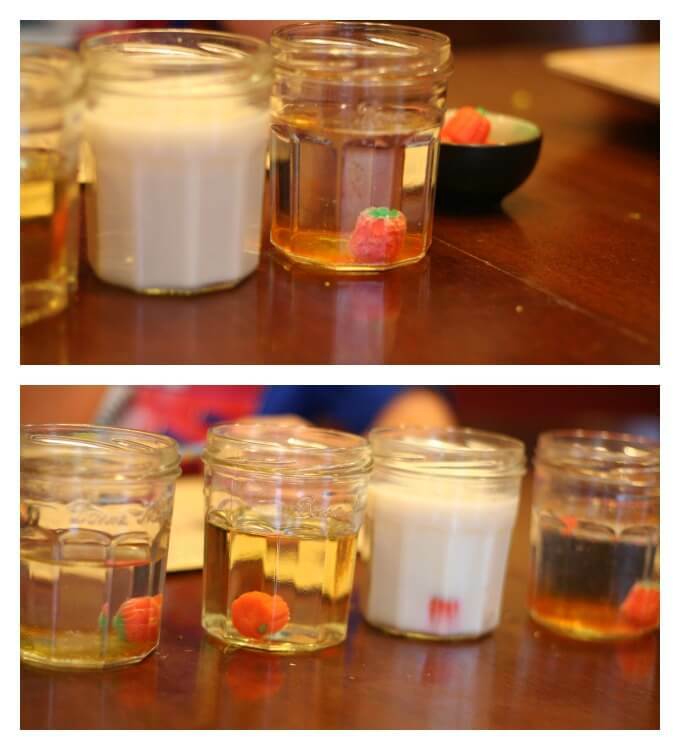 This simple Halloween science experiment seriously took 2 minutes to set up and was super fun. 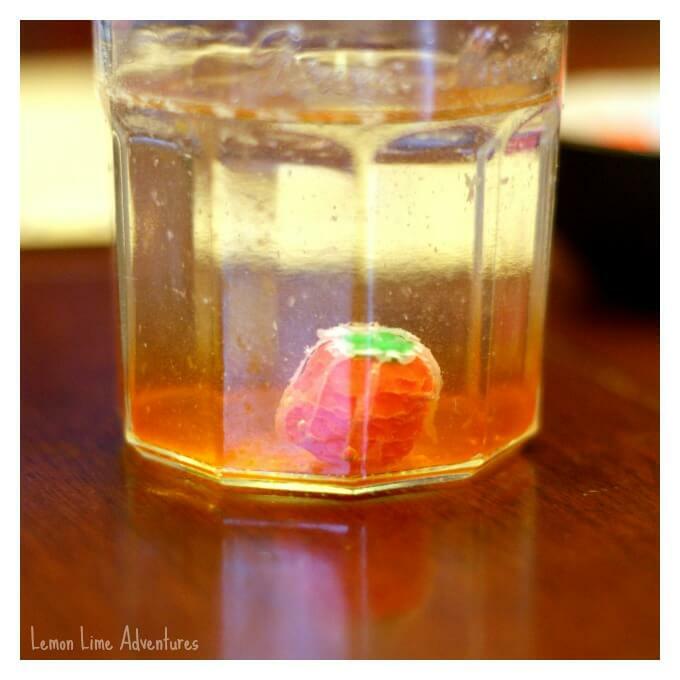 Both boys loved dissolving candy pumpkins and we were all a tad surprised by the results! We start all of our experiments with Predictions. 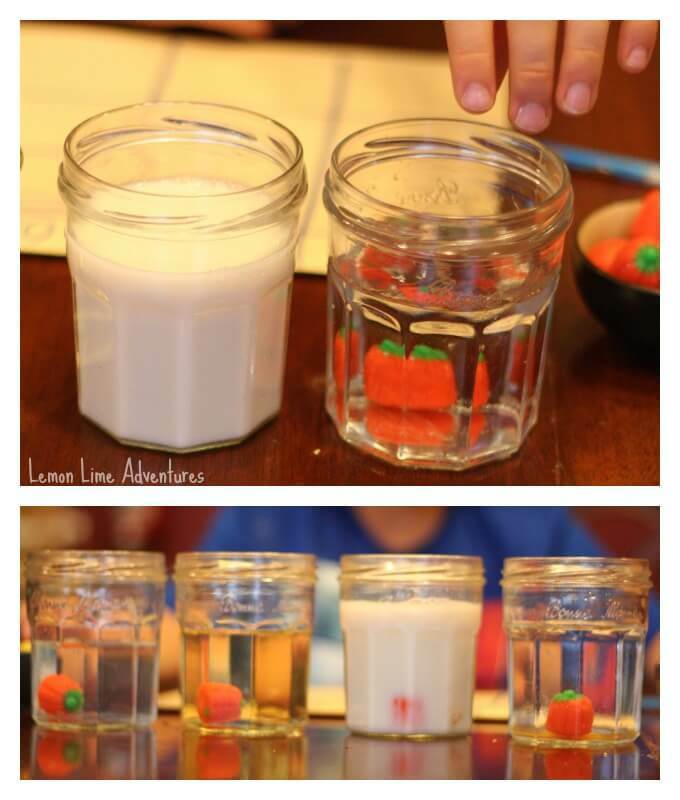 For this experiment, I had Bones (7) predict what he thought would happen when he put the candy pumpkins into the different liquids. He was pretty sure they were going to float in all the liquids except the oil. He predicted that the candy would sink in the oil. 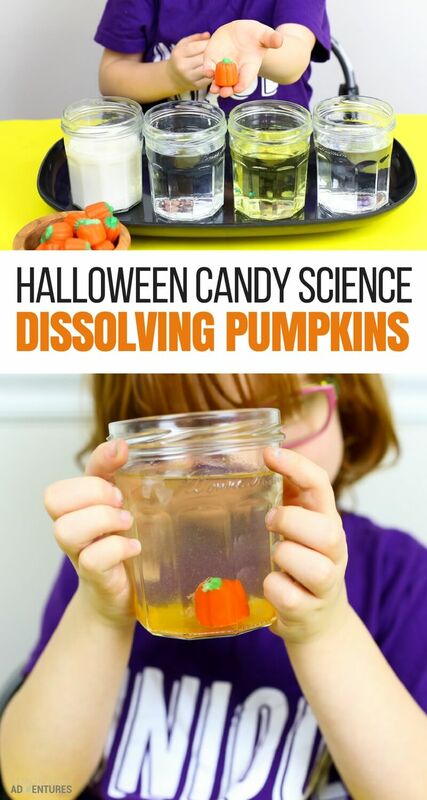 Next, one by one, he placed the candy pumpkins in the liquids and observed them. He was so surprised that they all sank. Using the observation form I made for him, he drew his observations and reported his findings to his brother. See, all scientists record and report their observations! 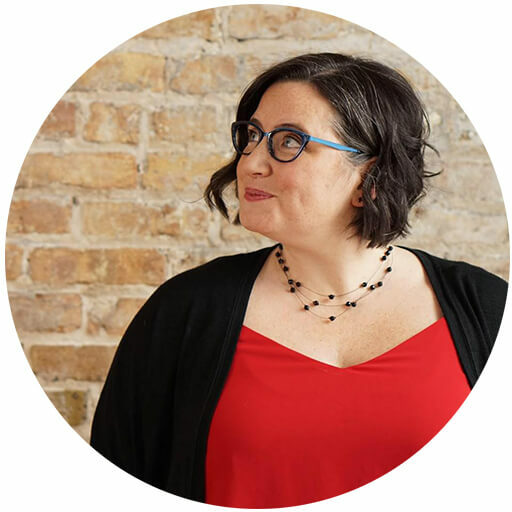 It didn’t take long before everyone started to notice that changes were taking place. Some of the candies were starting to change shape and break down. Bones and Legoman were in complete awe. In fact, the candy in the water glass was changing a lot. The conversations quickly changed to discuss possible reasons why this might be happened, comparing the candies to each other and predicting how long it could take to break down completely. I have to admit… I was shocked. I did not know this was going to happen to the candy and I was just as excited to keep watching the changes as the boys. The boys even started to notice the changes to the liquids as well as the pumpkin itself. Seriously, look at that candy!!! Did you know it could do that? 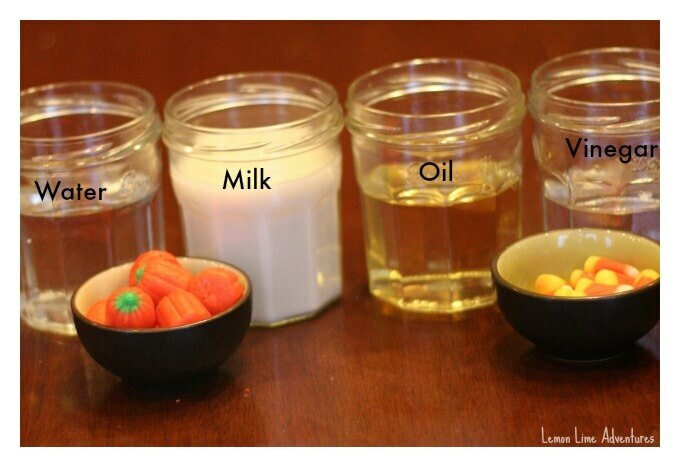 Finally, we took the candy pumpkins out of the liquids to observe the changes. Surprisingly, there were changes to all of the pumpkins but some of them were dramatically more than the others. 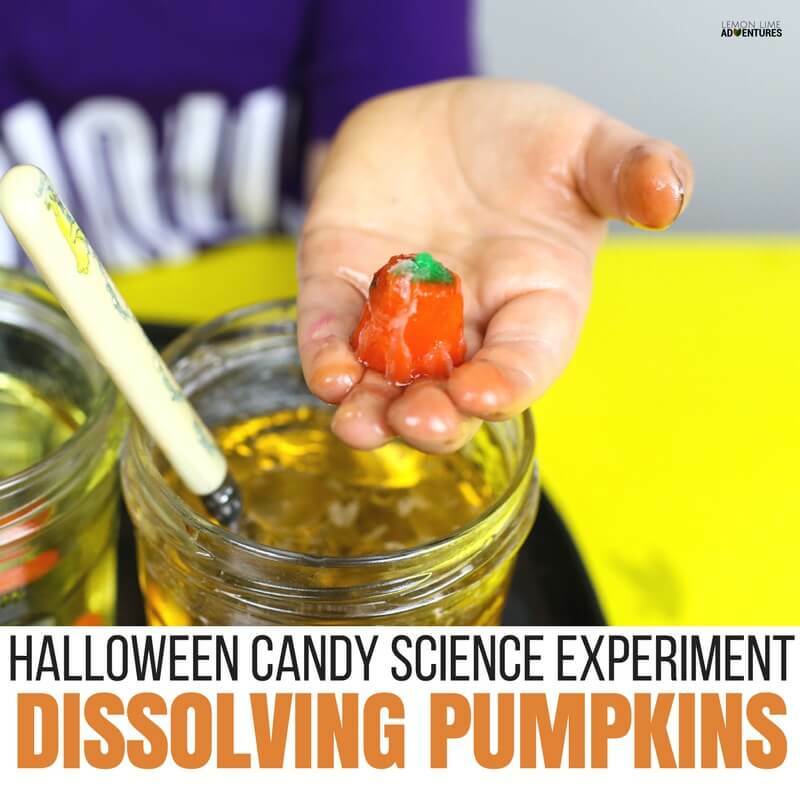 There are so many variations to this Halloween science experiment. The boys are already talking about changing up the liquids, testing what happens when you shake the containers, changing the temperatures, and changing the candies. I love this idea! 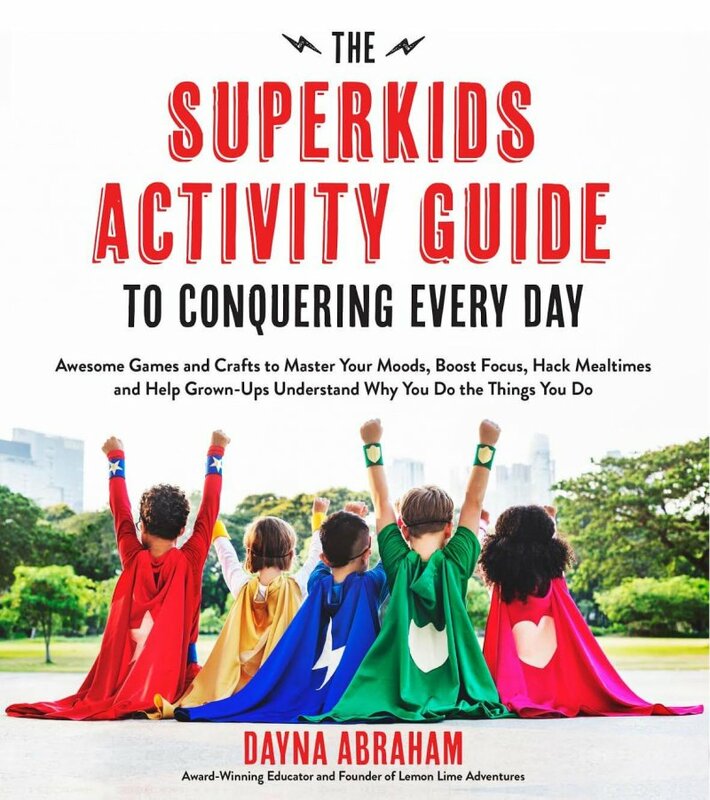 Sometimes the simplest activities turn out to be the most interesting for everybody! 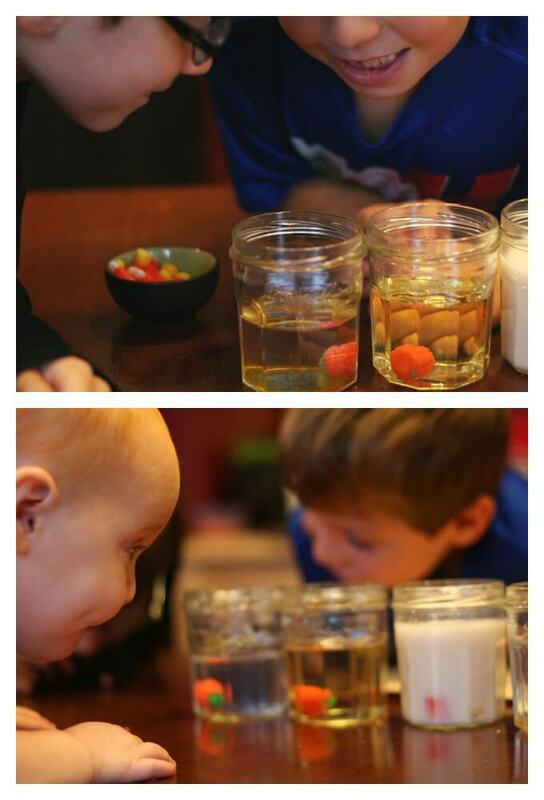 Its a cool experiment and all but my son is going to want to know why they changed or how. Why one changed differently compared to the others. Do you have an answer for that? Great Question! The topic of dissolving sugar in different liquids is quite lengthy of an answer, and frankly not my area of expertise. 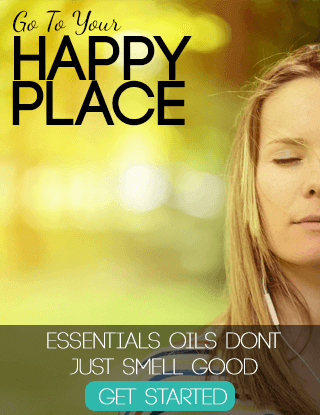 I did use our friend google, and found this really helpful webpage with a similar experiment. 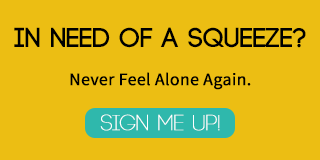 Have you tried the experiment with your son? How did it go? This is great! Do you have standards that this would go with for school by chance or a chart for writing observations? 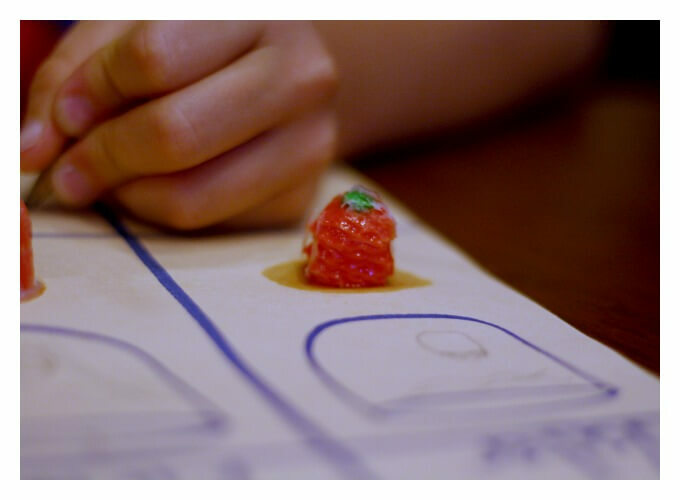 We do something similar to this with gummy bears in water. I just take the kids through the scientific method, which is one of our standards. Maybe it’s one of yours too? 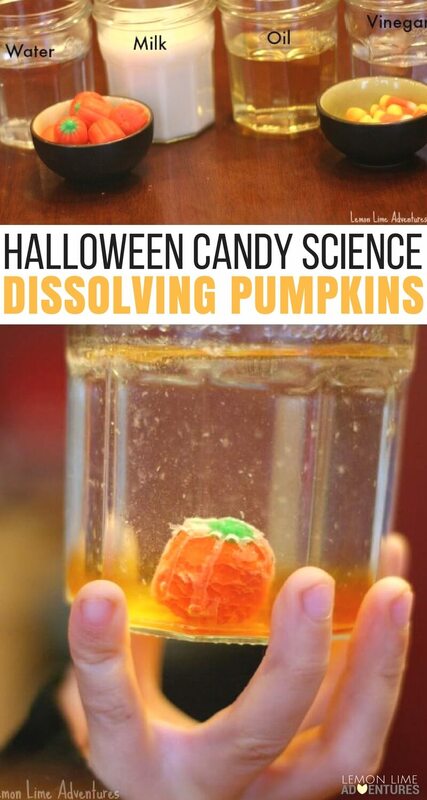 I was wondering how long you left the candy pumpkins in the liquid before you pulled them out? I’d like to do this as a lesson but would like a time frame for the leaving them in. We did not leave them in long enough to dissolve completely, but you start to see changes immediately. The pictures in this post were after about 30 minutes. 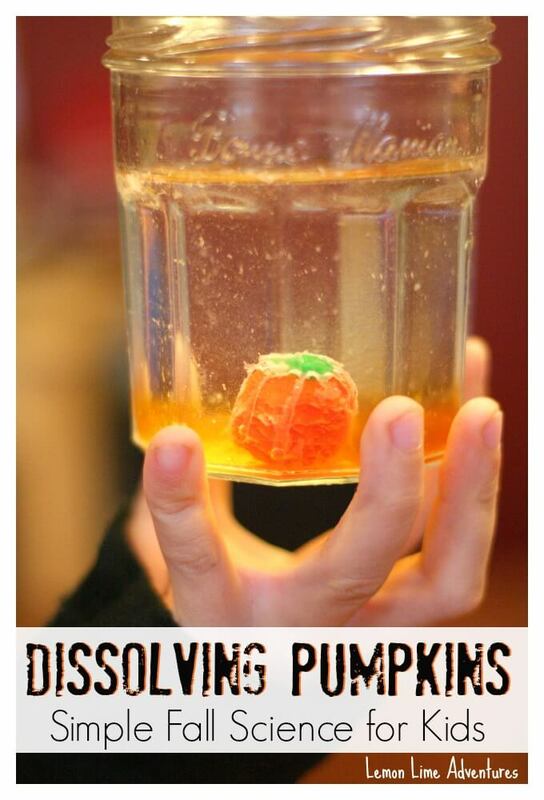 We’ll have to try this again next year to see how long it takes to dissolve completely! What a great idea! 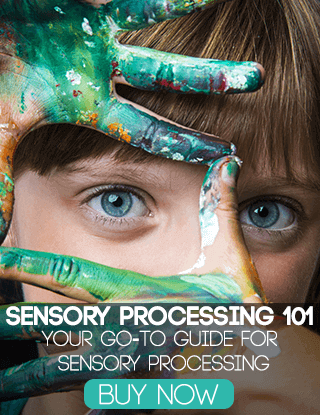 We’ve shared it on our Steve Spangler Science Facebook page and Pinterest page. That is so wonderful! Thank you so much! 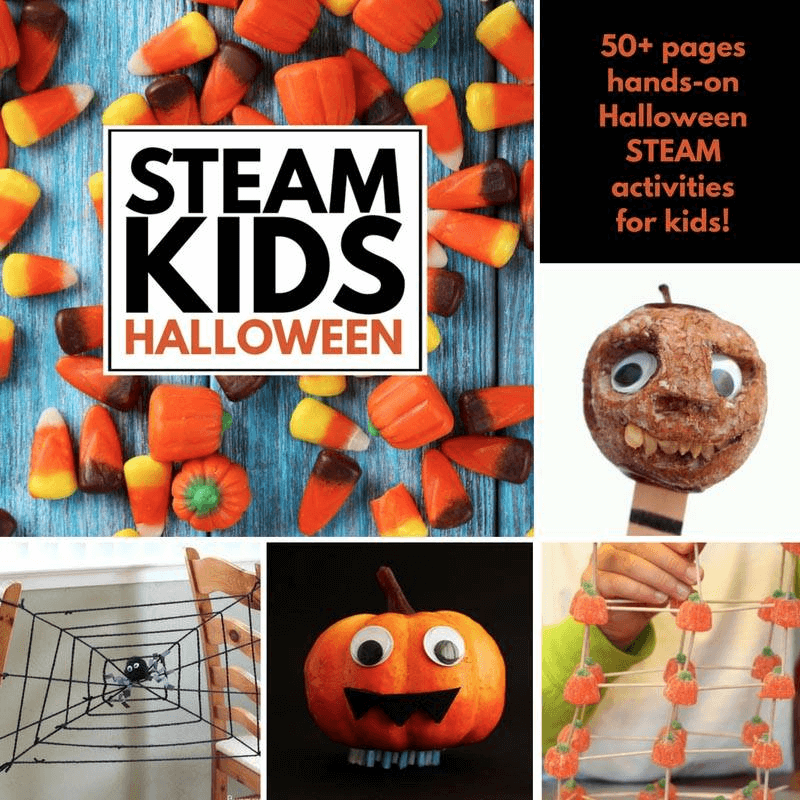 I don’t understand all these science experiments on pinterest and blogs that do a science or steam project, but then have no explanation as to why it happens the way it does. What does that teach kids? Sure, I made an explosion inside an apple, but why did it happen? Things like that. If there is no reason given, then what is it that the child is learning? 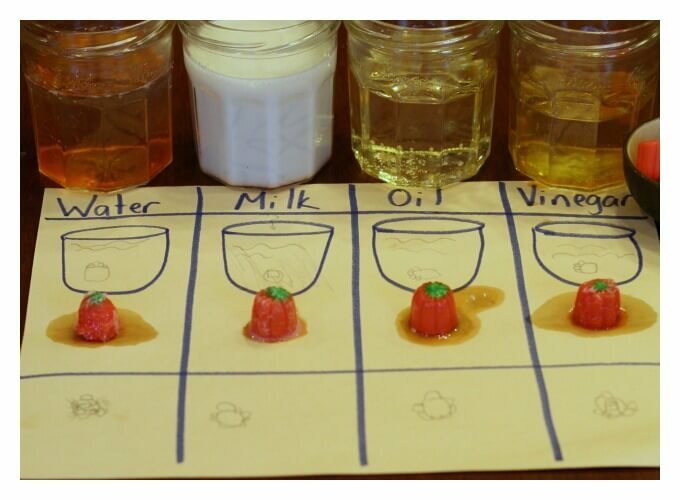 This experiment was meant to teach our children to come up with variables and test them. This was not a “demonstration” of dissolving or of chemical reactions with sugar and different substances. 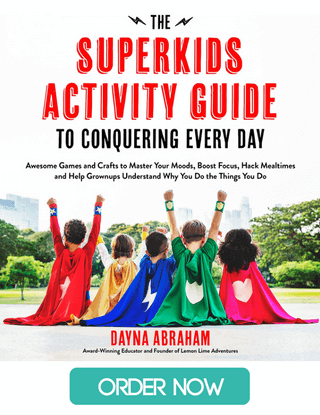 I think some of the activities you might find have various purposes. Hope this explanation helps.